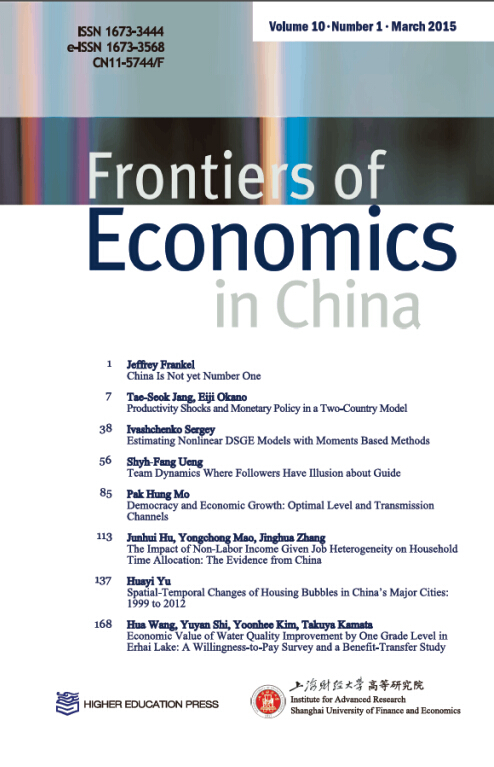 Frontiers of Economics in China (FEC) is one of the English journals under the umbrella of Frontiers in China. The latter, as the largest series of academic journals with the broadest coverage in China, was launched in 2006 by China’s Ministry of Education consisting of 20 disciplines in the fields of natural sciences and 7 in humanities and social sciences. FEC is a double-blind peer-reviewed journal co-sponsored by Higher Education Press (HEP), Beijing and Institute for Advanced Research (IAR), Shanghai University of Finance and Economics. Issued quarterly and distributed worldwide by HEP, the journal is available both online and in hard-copy.